Change the way you think about independent living. Live the lifestyle you want with the help you need, 24x7. White Oak has been family owned for more than 50 years. 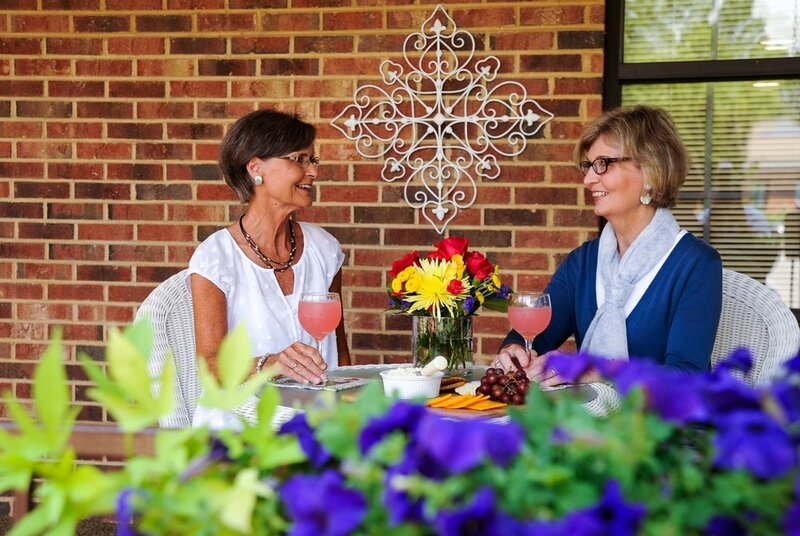 From the time of it's founding in 1964 by the Cecil family, the goal of White Oak Management has been to provide an independent living lifestyle which enriches the quality of our residents' lives by providing convenience, care, security and compassion. Unlike any other in the Carolinas, locally owned and operated since it's inception, White Oak Management strives to make our residents happy, healthy, safe and secure...to make them part of our family. Choosing to become a part of the White Oak family provides you not only with freedom, but with peace of mind for you and your family. Each apartment home is equipped with smoke detectors and emergency alert pads which are directly linkedto our 24-hour on-site skilled nursing facility. This enables us to respond immediately to any emergency. When you choose to make one of our communities your home, you will immediately feel like family - because you are! Becoming a part of the White Oak family affords you all the comforts of home with none of the day-to-day worries. For one affordable, all-inclusive monthly fee, you will no longer need to concern yourself with typical house costs. We take the hassle out of daily living, and you’re free to live the retirement of your dreams. Residents are encouraged to establish their own level of independence and to enjoy our amenities and activities at their own pace - the choice is yours.